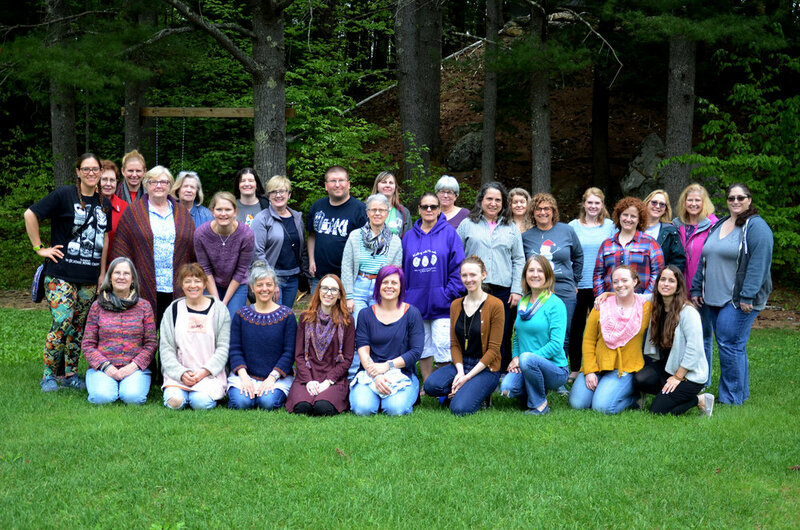 Join us for a weekend getaway of community, knitting, and skill-building! Lakeside Fiber Retreat is an annual retreat held at Camp Tohkomeupog in New Hampshire. Organized by Ana Campos of Circle of Stitches, this is a chance for fibery creatives to spend a weekend away doing what they love! Come take a break from your routine and spend time with like-minded folks. Take a couple of classes, learn some new things, sit around a bonfire, and knit a lot! You can also enjoy the beautiful lake or go for a hike. Most importantly: do whatever you want! And yes - you can bring a bottle (or two) of wine. This is an intimate retreat, with a maximum of 45 attendees. Visit our Gallery for photos! Lakeside Fiber Retreat 2018 Sponsors!